Ok, here I am with a full-blown product review, even though I've said a number of times that I don't do any. 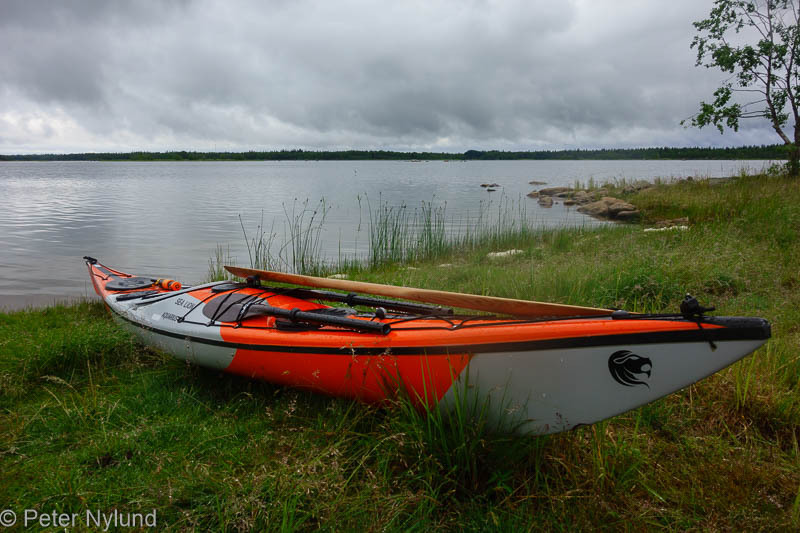 There has however been some requests and questions about the Aquarius Sea Lion kayak, which is sold in a number of Northern European countries and not much information is found on the internet about it. 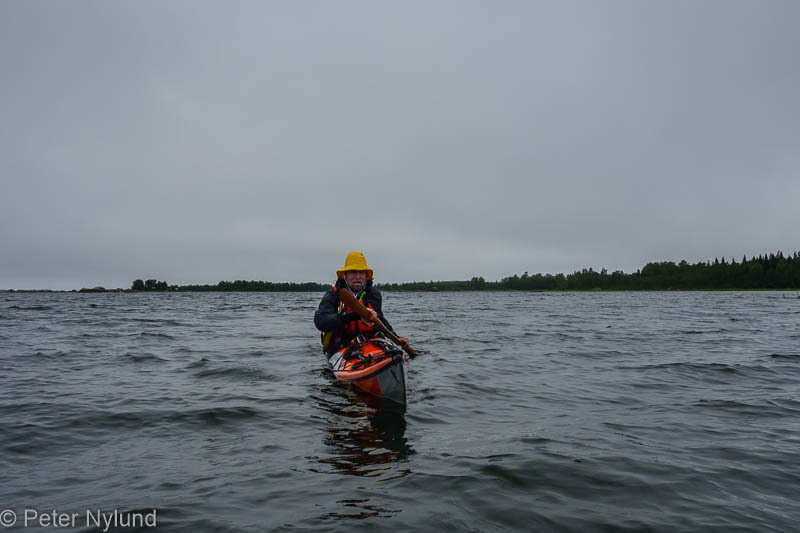 At the time writing I have around 700 km of paddling with the Sea Lion during fall, winter, spring and summer in different conditions, in winds up to 10 m/s and waves up to 1.5 m as well as a number of overnighters and one week-long trip. I now think I have a pretty well founded view of it to offer. Equipment - skeg, deck lines, 3 closed cargo spaces plus small cockpit cargo space. My version is the Club+ one and I can confirm that it definitely is a lot lighter to carry than the typical 26-28 kg kayaks. I haven't weighed it, but have no reason to doubt the weight given by the manufacturer. The dimensions, especially the width, put it clearly in the the performance category of kayaks, where the kayaks both need and reward active paddling. With my dimensions, 192 cm height and around 100 kg weight, there is a limited number of kayaks that actually fit me. On paper, the Sea Lion seemed too small for me, but it has turned out to be really suitable. The keyhole cockpit is narrow at the front, which gives more space inside the kayak, but it also means that the legs have to be moved passed it one at a time. The cockpit opening could be a little longer, as it is too short to allow me the seat first legs later method of getting into the kayak without some additional gymnastics that need a little support. Well inside the kayak, there is plenty of room, though. The foot pegs can be adjusted enough to give plenty of room length-wise (compare to e.g. the Tiderace Xplore L, which was too short for me). The thigh braces also fit perfectly, something I've also found to be a problem on many kayaks (e.g. the Valley Etain 17.7 RM had the thigh braces closer to the hips than the knees for me, as did the P&H Cetus HV). My shoes size is 46 Euro and I always use neoprene boots in the kayak. My feet fit fine in a V position, but there is no place for bigger boots. The seat is very comfortable for me and allows a good body rotation despite being quite tight. Someone wider might not fit well, though. The seat had a padding, which I removed before even testing it, since I found no need for it. The backrest is a simple affair, but in a kayak of this type the main task of the backrest is to keep you in the correct position on the seat, and not to give any real support for the back. I paddle with the legs slightly bent with a 7 cm thick paddle float under my knees and there is even a tad too much space upwards to the thigh braces for me. Someone wanting the knees very high might not find the space sufficient height-wise, though. All-in-all, the fit for me is tight but very comfortable for long hours in the kayak. The Sea Lion is equipped with a KajakSport skeg mechanism. The skeg control is at the left side, which is the correct place in countries where the right hand is used as the paddle control hand. It operates smoothly, but the skeg is fairly small. This far it has sufficed, but now and then all of it has to be deployed. The SmartTrack foot pegs can be adjusted while sitting in the kayak and this far have worked well. The kayak has four KajakSport hatches, all secured to the kayak, with a small hatch just in front of the cockpit and a slightly larger day hatch behind the cockpit to the right. The front hatch is round and the rear hatch is a big ovale one. All hatches have been tight. The deck fittings are recessed, and the rigging is acceptable with good grab lines in front of the cockpit, but less complete grab lines behind the cockpit. A spare split paddle fit well on the foredeck with some additional lines. There is a compass recess at the front, which is a good position for a compass. The Silva 70P compass fit without bigger problems, but I had to carve away a few mm of plastic from it. The manufacturer offers several color schemes, and I really think the one I have makes for a very nice looking kayak. The storage space is decent. This is not a high volume kayak, at least not in relation to my size, but the total waterproof cargo space of 190 liters is not bad. Part of it is wasted with the skeg box, though. 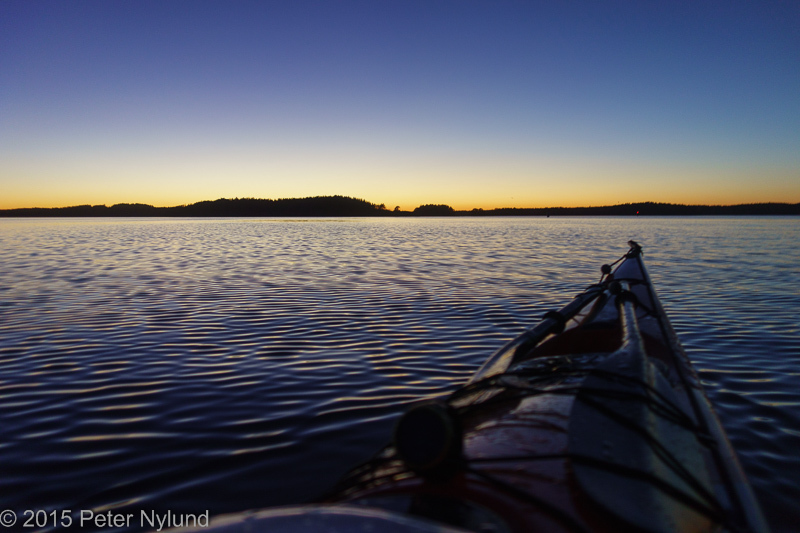 A weekend trip is no problem, but for my week-long trip last week I had to make some compromises, which is to be expected in an all-round kayak. The manufacturer gives no load limit for it, but I tested it with 28 kg of water (in containers) and would consider this pretty much the maximum load for the Sea Lion. It would make a total of about 150 kg (paddler + kayak + cargo). The kayak was a lot more stable with this cargo, but also turned more slowly and felt a little clumsy in the waves. The Sea Lion has a fair amount of rocker and is hence very maneuverable with the skeg up. It carves turns nicely when edging it. The hull has a fairly shallow V in the middle and this flattish section makes it a good and willing surfer. The stability is predictable and quite decent. A 52 cm kayak for someone 192 cm tall with a high center of gravity doesn't have the total initial stability to allow letting go of the paddle all situations, and it certainly feels a lot less stable than the 59 cm wide Prijon Kodiak I had earlier. The initial stability is still good and the secondary stability solid. In waves it performs predictably. I've had it out in 10 m/s wind, with corresponding waves., where it needs the occasional low brace. The biggest waves have been fairly steep 1.5 m waves from the back, where bracing was required and care needed to prevent unwanted surfing. The kayak is not a speed monster, but enables a cruising speed of up to 8 km/h with little effort. After around 9 km/h the drag starts to increase rapidly on flat water, so it won't win any marathons. It accelerates quickly, however, and the cruising speed is still higher than that of many other sea kayaks. Since the Sea Lion is fairly narrow, it can easily be paddled with a high style, especially since the sides are clearly slanted in front of the cockpit to make room for the paddling. The foredeck is also low enough for a low paddling style if needed and a Greenland paddle feels very right with this kayak. The back deck height is a compromise between cargo space and rolling height. It is low enough for getting the back down for an ordinary screw roll, but the most extreme Greenland style layback rolls might not work well. Still, the Sea Lion is quite easy to roll, check e.g. this video. The first outside roll of the season of my own can be seen in the following video (and it was only the second time I rolled this kayak). 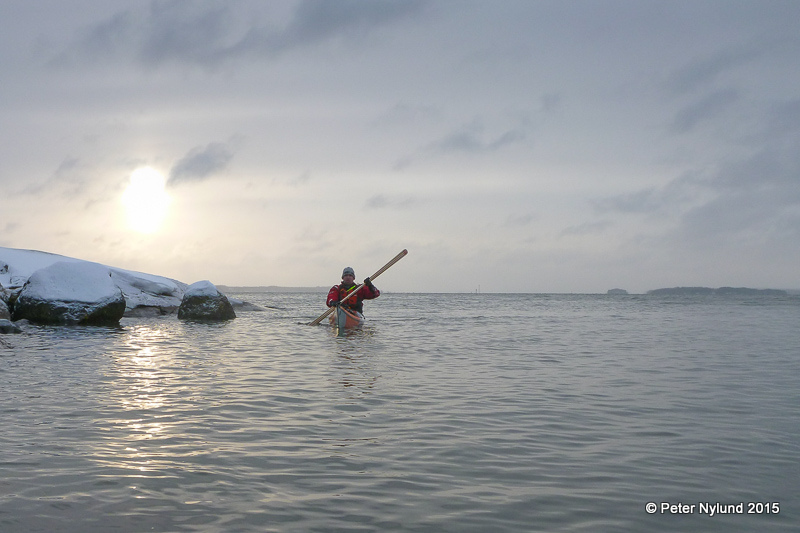 A later rolling session in warmer water confirmed that rolling is quite easy with this kayak. In my initial review I wrote about the quality problems I encountered. There was a small leak into the front cargo space as well as larger leaks into the cockpit. It was resolved by the seller, but it is clear that the quality control failed on this particular kayak. According to Bear & Water, which has sold a good number of these, my kayak has been the only problematic one of the Aquarius composite kayaks, so I don't think any conclusions about the quality should be made based upon this single failure. The lamination work itself seems good, but I'm sure the British kayaks with double the price are better. The bulkheads are made of foam instead of glass fiber, which I think is an acceptable compromise to keep the price down. The kayak is light, so it is clearly not as bombproof as some of the British kayaks weighing 6 kg more, though part of the weight savings comes from using carbon fibre and kevlar mats. The deck is solid during rescues, as opposed to some other light kayaks. In my opinion the Aquarius Sea Lion is a very fun kayak that gives a lot of value for the money. It is a kayak that really rewards active paddling. 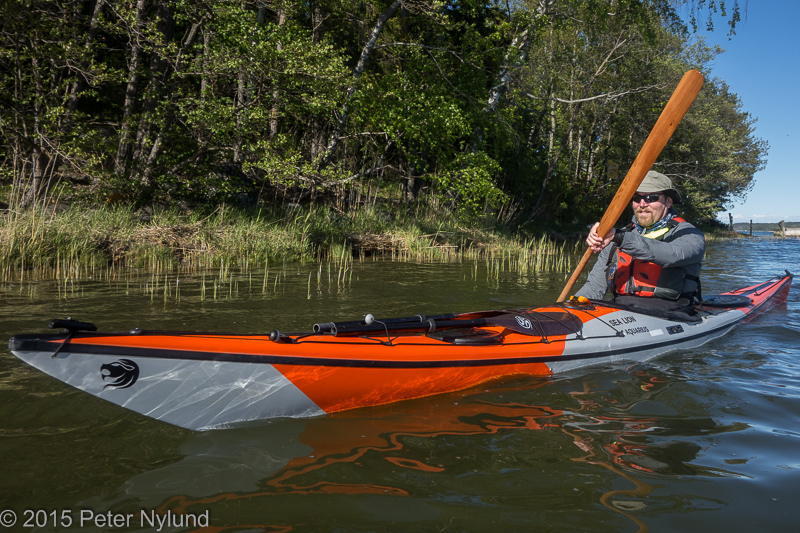 An acquaintance of mine likened the Sea Lion LV to a Ferrari compared to the PE Nordkap kayak tested at the same occasion, and I would tend to agree that the same goes for the bigger version I have. The bigger and heavier expedition kayaks feel very boring compared to this one. The Sea Lion paddles well unloaded and still takes gear for a week-long trip. Anyone looking for an all-round kayak might want to take a look at it.